After updating FHA and VA guideline, many people are don’t know what credit score is needed to buy a house in California. The Golden State is the most populous state in the entire country and joined the Union back in 1850. Oregon is to the northern border with Arizona to the southwest and Nevada joining California on the eastern side. Besides Texas, California is the largest state in terms of area in the continental U.S. California’s topography is the most varied of any state in the Union with beaches and the Pacific Ocean to the west, mountainous regions in the eastern part of the state as well as desert regions. California’s median household income is one of the highest in the country but that considers most of the income is the larger metropolitan centers of San Diego, Los Angeles and San Francisco and home values are much higher in these regions as well with these regions deemed “high cost” and conforming loan limits are higher compared to other parts of the state. Statewide, the median home value is $529,900. In San Diego, the value is $608,000, Los Angeles $663,500 and San Francisco $1,285,000. The Bay Area reports a double-digit increase from 2016 to 2017 but higher interest rates overall should tamper this increase over the next year. FHA doesn’t approve loans by itself. FHA approved lenders do. Lenders accept an application to buy or refinance a property and by following the FHA guidelines, and then the loan is eligible for sale in the secondary market and comes with a loan guarantee. If the loan ever goes into default the lender is partially reimbursed for their loss. This reimbursement comes from two separate mortgage insurance premiums, one that is charged upfront and rolled into the loan amount and an annual premium paid in 12 monthly installments. Conventional loans are different. Those loans underwritten to standards set forth by Fannie Mae and Freddie Mac make it more difficult to qualify with a lower down payment. For example, most lenders will not approve a conventional loan with a 5% down payment if the credit score is below 680 Fico. For credit scores as low as 640, the minimum down payment can be 20% or even 25% of the sales price of the home. Guidelines for low down payment conventional loans are significantly more restrictive when compared to an FHA loan. FHA loans have been helping borrowers buy a home since 1934 when the program was first introduced. And because of the low down payment needed and relaxed credit guidelines, it is often the loan of choice for those buying their very first home. However, lenders typically won’t approve a loan with a FICO score of 500 or below. A 500 score indicates there are some credit issues that still need to be resolved. Most lenders today ask for a minimum credit score to be in the 620-640 range before that loan can be funded. 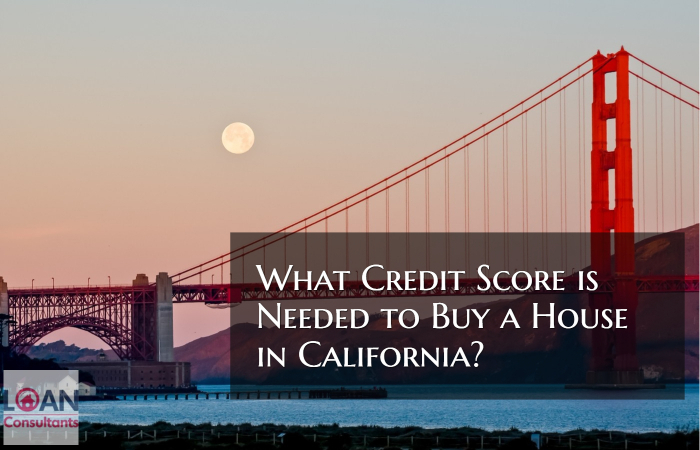 So what credit score is needed to buy a house in California? If someone with a credit score of 620 applies for an FHA loan and makes a 3.5% down payment, the loan is often eligible for an approval (with some exceptions like wait periods or recent credit blemishes). With a conventional loan and a 5.0% down payment, a lender could consider the approval but the interest rate will often be adjusted higher by as much as a full percentage point, making it more difficult to qualify for. In today’s mortgage marketplace, lenders are more likely to approve a loan application with lower scores than they were just a short time ago. As lending guidelines have stabilized and foreclosures and default rates have receded, more loans with lower credit scores are being approved. This is especially important for someone who applied for a loan just a year or two ago and was told they couldn’t qualify based upon their Fico credit scores. Many would be borrowers could have simply given up thinking they could never qualify for a mortgage. But even if those very same individuals had the very same scores today that they had even a couple of years ago, because of recent changes in underwriting guidelines, these same individuals could very well be approved for an FHA loan. The important thing to do is to take the first step and speak with a lender who can provide the latest updates on available loan programs in today’s marketplace. IF you still have questions about what credit score is needed to buy a house in California or you have been denied a home loan please contact the author, Matt Herbolich, MBA, JD, LLM by phone or text at 786.390.9499 or by email at mherbolich@usa-mortgage.com. Mr Herbolich works when you work, so feel free to contact him anytime.